I’m sure that all of you avid bakers out there can commiserate with me over the deplorable state of our cookie sheets. I have a serious love of baking and those little sheets of metal get put to work on a regular basis. While I try to scrub them well after each use, there comes a point in every cookie sheet’s life when it must be laid to rest! The same can be said for a lot of the things around our home. Every day I find something else in my house that is either old, broken, or so well used that it is no longer useful. I hate throwing things away and am always looking for ways to repurpose every day items. Sometimes, it isn’t easy to put green living on your busy schedule but this DIY Upcycled Cookie Sheet Memo Board is an easy way to remind yourself every single day to try to reduce your carbon footprint! In an effort to live a greener life, I am slowing switching the batteries in my house to a more eco friendly variety. 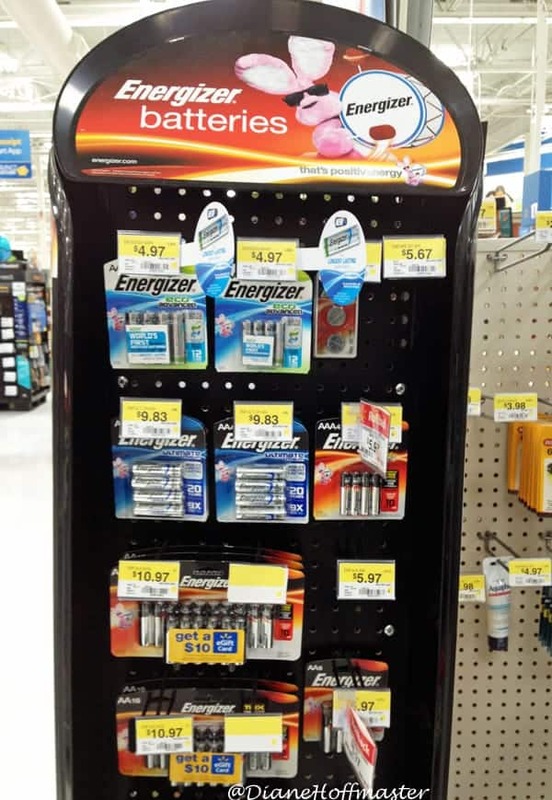 I headed over to Walmart to look for the Energizer New EcoAdvanced Batteries that they carry. They are Energizer’s longest lasting alkaline battery ever and they are the first one on the market to use recycled batteries/materials in their construction. EcoAdvanced batteries are available in AAA and AA varieties which are the two types most commonly used in my house. The EcoAdvanced batteries are a brand new product that you can feel good about swapping out in your own home. They will last up to 12 years in storage so you always have fresh batteries available when you need them. One area of my home that uses a lot of batteries is our flashlight collection. Yes, I said flashlight ‘collection’ because we have quite a few! We have flashlights in each kids’ room in case we lose power in the middle of the night. We have flashlights in our camping supplies and in the garage for peaking into those hard to see places. 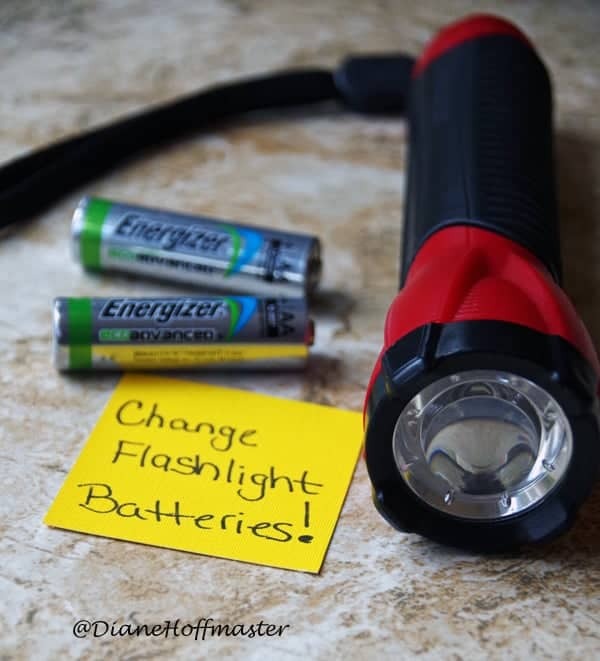 We also keep a collection of flashlights in our pantry for emergencies…or for whenever the kids decide to run around outside in the dark playing manhunt with the neighbors. Dead flashlight batteries are a huge pet peeve of mine so we make sure to keep the batteries fresh by changing them on a regular basis. 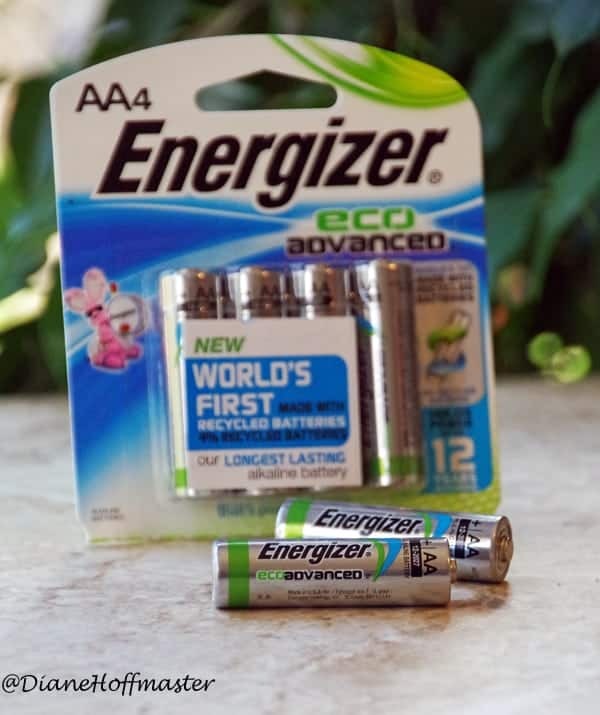 When you are shopping for batteries, look around for the Energizer New EcoAdvanced Batteries at Walmart. You can find them in the technology department or right up by the front registers! Reduce the carbon footprint of your food. Grow a garden, buy organic, skip the drive through and cook from scratch as much as possible. Choose green energy options like Energizer New EcoAdvanced Batteries and LED light bulbs. Reduce how much you drive. Learn to consolidate your errands, join a carpool, take mass transit, or walk whenever possible. Rethink your spending habits. Start buying LESS, shop second hand, buy something organic and begin asking yourself if your purchase is making a difference. Find new uses for old things. Every item that you keep out of the landfill makes a huge difference! This weekend’s ‘Make Something New From Something Old’ project was this DIY Upcycled Cookie Sheet Memo Board. Since I recently purchased a few NEW cookie sheets, it was time to find a new use for my old, grungy ones! This cookie sheet memo board uses only one old cookie sheet along with a few simple craft supplies you can find at your local craft store. I chose to go with a pink/green theme for this upcycled craft but you can customize the colors to match whatever decor you have in your home. The first step in turning your cookie sheet into a cookie sheet memo board is to paint the cookie sheet. 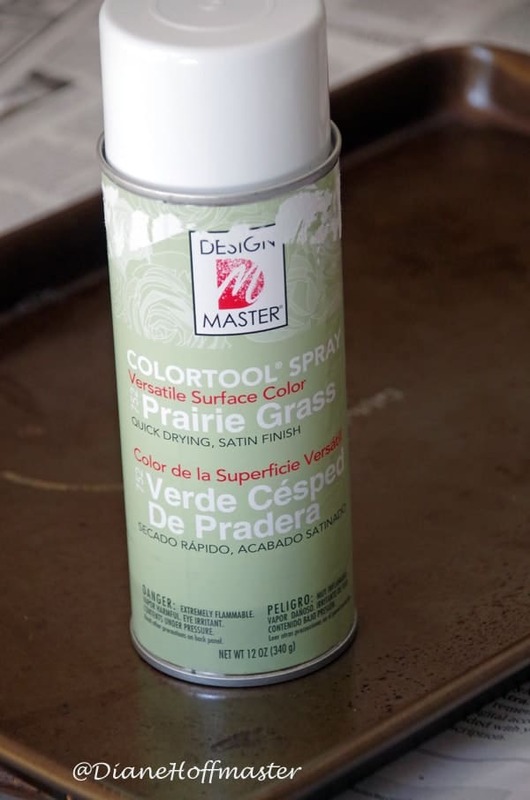 Look for an all purpose spray paint and make sure you use it in a well ventilated area. Shake the can well and use several light coats rather than one or two heavy ones to avoid drippy paint marks. 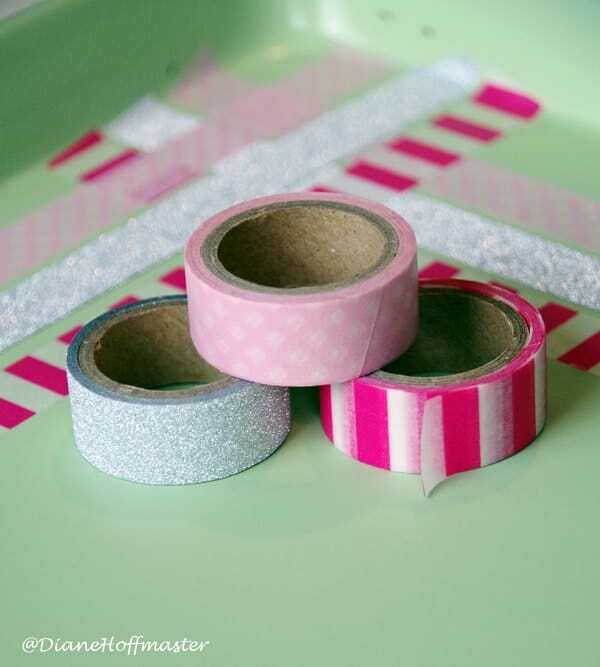 When your last coat of paint is dry, apply your strips of washi tape in whatever pattern you want. I chose three corresponding colors for my cookie sheet memo board and made both vertical and horizontal stripes. You can really get quite creative with your pattern! 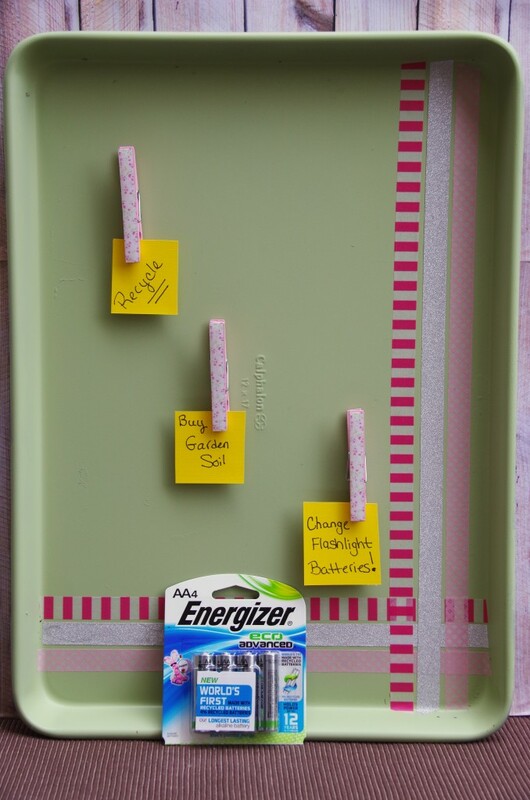 Make your magnets: Any small items can be used as magnets for your cookie sheet memo board. I found decorative clothespins in the dollar section of the craft store and glued a small piece of magnetic tape on the back. You can paint small rocks, bottle caps, or make salt dough magnets. Get creative and turn something old into something new! 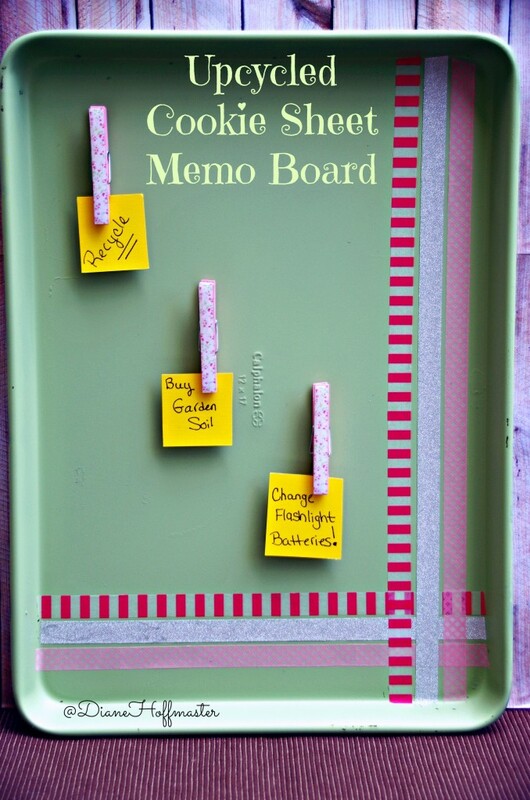 Hang your cookie sheet memo board on the wall using decorative ribbon and a sturdy hook or just prop up on your desk! Don’t forget to leave yourself creative messages to remind yourself to live green! Check out Bringinginnovation.net for more information! 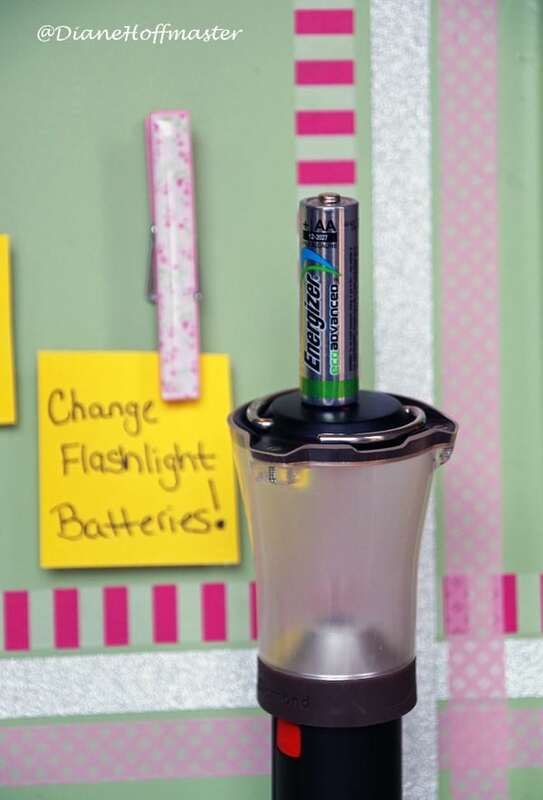 Not sure what to do with your old batteries? 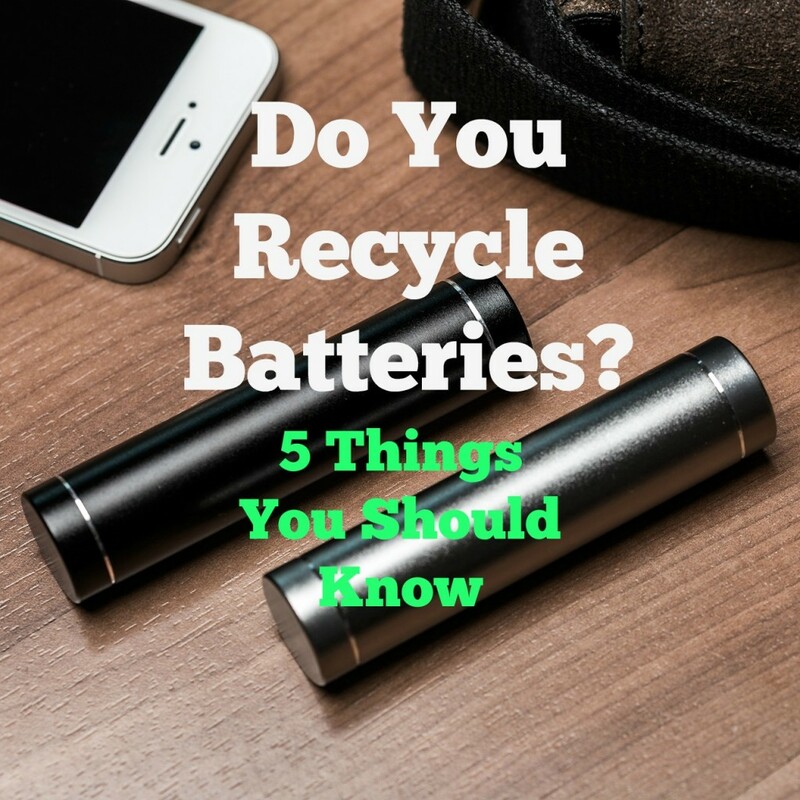 Check out this post on battery recycling! Turned out really great! 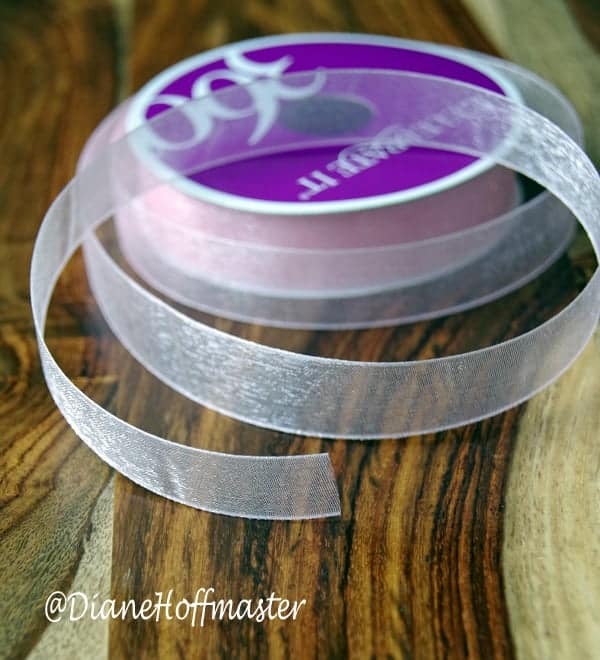 Magnetic tape is so fun to use and play with - we use a ton of it in our house! I love how it turned out - so cute! I love the many different ways this could be done and customized as well. 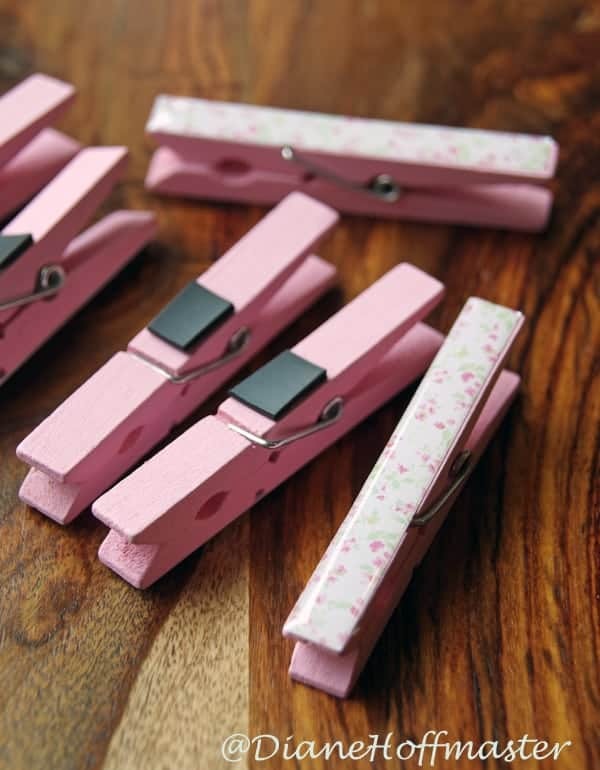 Great idea with the clothes pins. I am not looking forward to the time change though. Super good idea for upcycling the cookie sheet! I have a few rusted ones that can be used in my daughter's room to hold pictures and drawings and such. What an awesome idea! I could definitely use one of these in my laundry room or kitchen.